Please note, that we are unable to accept returns of any CDs/DVDs that are opened. ALL sales are final once the original packing is opened, UNLESS the discs are defective. We apologize for any inconveinence this may cause. JUST RELEASED BY SVS PRESS!! These six lectures on the Christian sacraments were delivered in Jerusalem in the fourth century. This was a time of rapid transition for the Church. Until AD 313, Christianity had been an illegal & persecuted religion, but under Constantine & his successors it became the favored religion of the state. Potential converts thronged the shining new basilicas, built through the beneficence of the emperors. Catechetical instruction was needed. 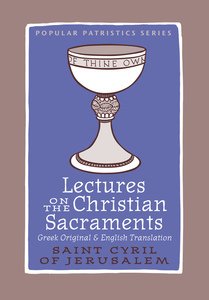 And it was provided by gifted preachers & teachers like St Cyril of Jerusalem. The first of these lectures, the Procatechesis, is a hearty welcome to the candidates for baptism and introduces them to the periods of doctrinal instruction that lie ahead. The remaining five, the Mystagogical Catecheses, are an exposition of the rites of Christian initiation—baptism, chrismation, & the Eucharist—for the newly baptized. A rich source on the history and worship of the fourth century, these lectures remain instructive & inspirational. This volume—featuring the Greek text and a new English translation by Maxwell E. Johnson, a prominent scholar of the early liturgy—will become the standard text for years to come. 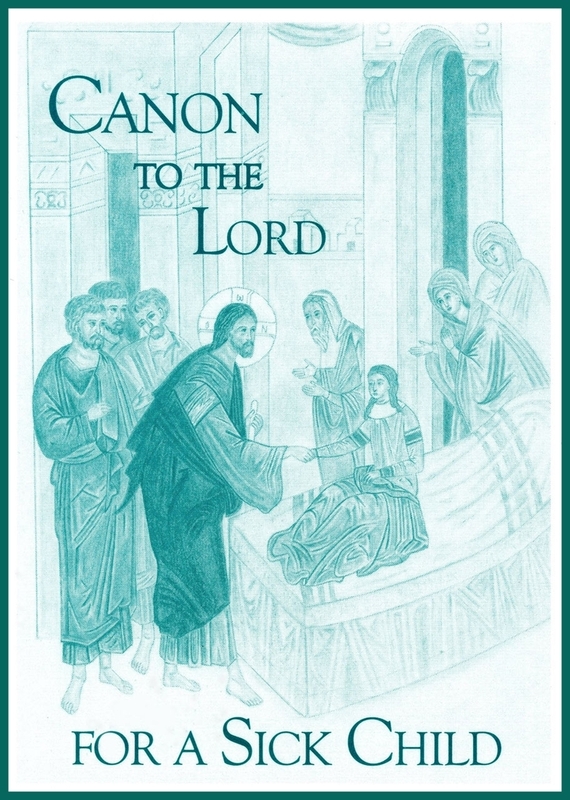 This deeply moving canon of prayer eloquently expresses the heart-felt anguish of anyone in need of praying for a sick child. Includes a full introduction of insightful counsels by a Russian Orthodox Priest-Pediatrician. 36 pages. 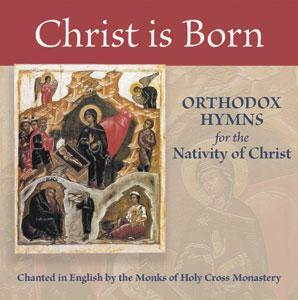 Recorded at the Hermitage of the Holy Cross in 2004, this CD contains many of the hymns for the Feast of the Nativity of the Lord. The music is taken primarily from the Great Znamenny melodies of the Festal Menaion, printed in St. Petersburg by the Holy Synod of the Russian Church in 1900. 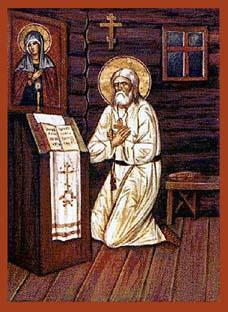 Here, pronounced clearly and calmly by a monk from the Hermitage of the Holy Cross, are the basic daily prayers said by all Orthodox Christians of the Russian Tradition. We hope that this recording will help those who, through a multitude of worldly cares and responsibilities, are sometimes tempted to skip their daily prayers. Text taken from the Jordanville Prayerbook of the Russian Orthodox Church Outside of Russia. 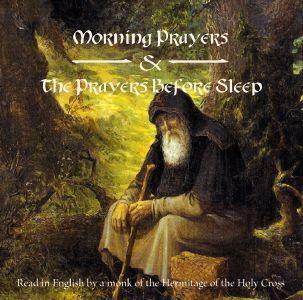 Prayerfully chanted by a monk from the Hermitage of the Holy Cross, this CD contains: The Canons to the Savior, the Mother of God, and the Guardian Angel - The Akathist to the Mother of God - the Psalms, Canon, and Prayers for Holy Communion. These are the prayers that Russian Orthodox Christians say in order to spiritually prepare themselves to participate in the awesome Mystery of the Divine Liturgy. Text taken from the Jordanville Prayerbook. 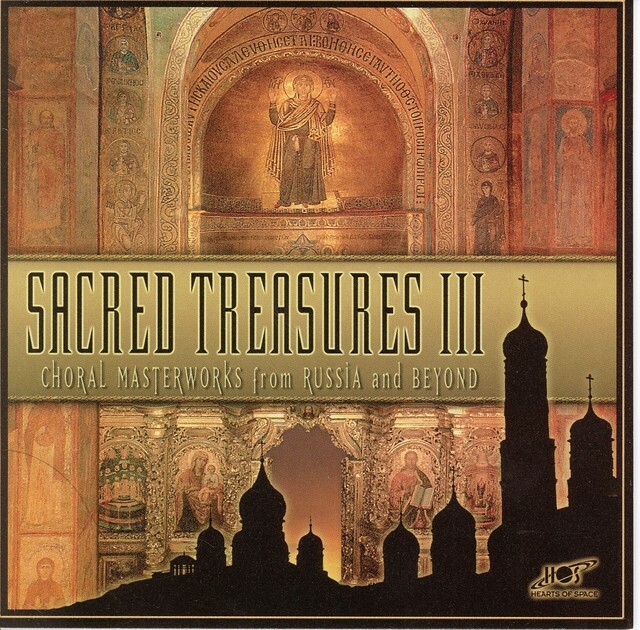 The fourteen selections comprising Sacred Treasures III feature music from the Russian liturgical canon recorded in sumptuously reverberant settings by leading Russian choruses. With a state-of-the-art mastering job to fully display the subtle harmonic interplay of the singers, this release offers pure balm for the ear and soul. The music covers a wide burst of historically important pieces, from ancient Greek Orthodox chant through early 20th Century choral masterpieces of Rachmaninov, plus one modern fantasy setting of Bach's Apollonian masterpiece "Komm Susser Tod" ("Come Sweet Death") by Scandinavian composer Gunnar Eriksson. The collection opens with an anonymous 13th Century Russian "Alleluia," set in the calmest tradition of the Orthodox service, followed by a "Sourp, Sourp" ("Holy, Holy") from the Divine Liturgy. Both are sung by the ST. PETERSBURG CHAMBER CHOIR, directed by Nikolai Korniev. More familiar, perhaps, are the four sections of Rachmaninov's Liturgy of St. John Chrysostom from 1910, sung by the large Russian State Symphony capella. There are three additional sections from Rachmaninov's Vespers collection of 1915, sung by the USSR MINISTRY OF CULTURE CHAMBER CHOIR under Valery Polyansky's direction. Should you know of savage beasts in need of calming, the Kiev Chant "Peaceful Light" (track 10) from Rachmaninov's Vespers will turn away all monsters. The recording also aims to represent the reverential dignity of the music. Following the traditions of the Orthodox Church, no instruments are sounded - not even bells. Everything about the music and the physical setting in which it is heard is designed to produce a feeling of heavenly peace. The music is never harsh, but rather blends into the richly decorated surroundings, lit primarily by candle light. All of these selections are designed to fit within the soft golden glow of ecclesiastical tranquillity. Easily the most unusual and unexpected item in the collection is the setting of "The Lord's Prayer" by of all people Rimsky-Korsakov. Known for his virtuoso orchestral music, few will expect so deeply devout and reverent a piece from this composer. Although his choral music is rarely performed or recorded, he published several collections of religious texts, as well as 39 superb choral settings of Russian folk tunes. This version of "Our Father" is drawn from Rimsky's Opus 22 collection. 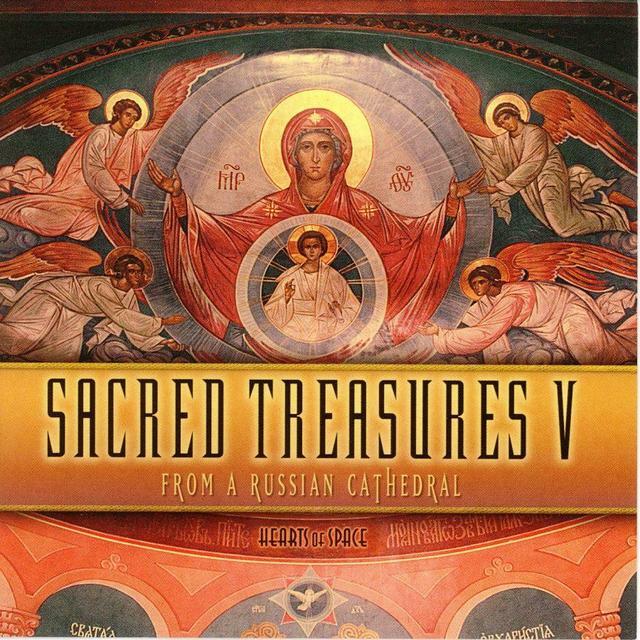 SACRED TREASURES V: FROM A RUSSIAN CATHEDRAL features mainly 20th century and contemporary composers. 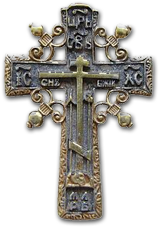 There are several selections from "Liturgy of Peace" by Archbishop lonafan (Yeletskyh) of Kiev in which the eastern "Liturgy of St. John Chrysostom" is sung to the melodies of Western Gregorian chants, creating a musical synthesis of the two traditions. All the pieces and performances are infused with a solemn and deeply devotional quality. 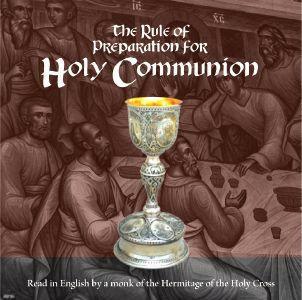 The singing is spacious and warm, creating an atmosphere of holiness and benediction. The intention was to weave hymns and verses into a seamless tapestry in which the whole is greater than the sum of its parts, and the individual elements of the compilation become movements in a choral symphony of timeless beauty. Sung in Church Slavonic. 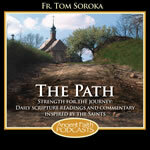 To listen to a sample of the Sacred Treasures series, please click on this link.